The Montreal Canadiens are celebrating their centennial this season. Hockey's most glorified team is celebrating 100 seasons of great hockey and great hockey players. So many great hockey players that a record 44 of them have been enshrined in the Hockey Hall of Fame, plus 10 builders. The Hall has put out a number of amazing titles book titles over the years. 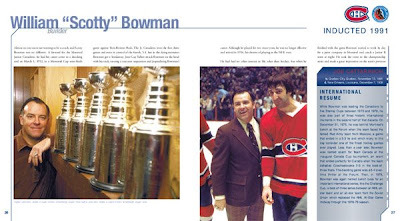 With past successes in mind and super-author Andrew Podnieks on board, the Hall and the Montreal Canadiens have set out to wow us all once again in the new book Honoured Canadiens. And wow us they have! The first thing you'll notice is the striking red cover dominated by the Canadiens regal crest. Then you will notice the impenetrable shrink wrap around it, making it impossible to look inside. 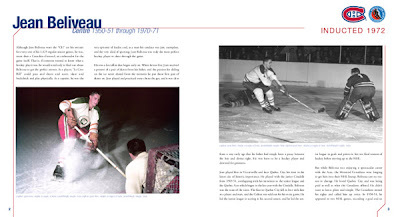 As we've come to expect from Hockey Hall of Fame books, the layout is clean and the use of iconic photographs and spectacular memorabilia, most of it completely exclusive to the Hall, is nothing short of amazing. The book is part time machine. But, as is always the case, what makes a book a true treasure is not the imagery, but the text. Hounoured Canadiens delivers masterfully on this point. Readers will enjoy Podniek's biographies of each of the 54 honourees. These are the same 54 players, coaches and builders who were immortalized in the Habs new "Ring Of Honour" inside the Bell Centre at the beginning of the season. Podnieks is an impeccably thorough researcher, always digging deep to find something new or rare about topics that have been discussed time and time again. With 45 titles on his resume he never disappoints. Even the most die-hard Habs fan is destined to learn a ton of fascinating history and tidbits in any Podnieks offering. Podnieks has also evolved into a great writer, often able to capture the personality or uniqueness of his subject. 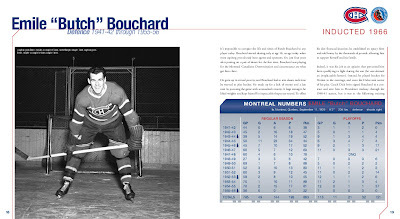 I would not go as far as to say every biography brings it's subject to life, but he always and accurately gives readers a well written and complete look at each of these great Montreal Canadiens. 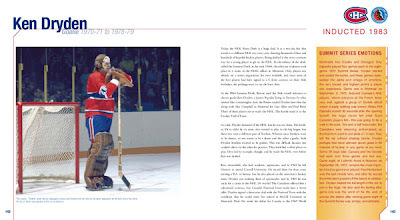 The book's final page offers a special serial number and invitation to the Honoured Canadiens website, where no doubt additional goodies will be added in time. 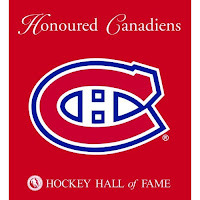 The website, http://www.honouredcanadiens.com/, is not operational at the time of this review. 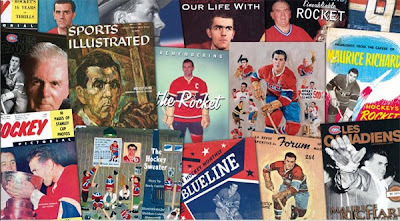 If you can't get to the Hockey Hall of Fame to celebrate the Canadiens centennial, HB Fenn's Honoured Canadiens is the next best thing. It sure to stir the memories and curiosities of all who thumb through it. I received your awesome book as a Xmas gift from my son and was saddened to find out that the contest was closed for the week-end in Montreal and also that the website to check my serial number was not functioning at this time. I have been serving my Country in Afghanistan and have been a Habs fan since my Grandmother Adelina Richardson took me to my First Game at the Forum in 1967 against the St.Louis Blues with Gary Unger. She was a season ticket holder for many decades and was there for the Richard riots.Great book and fantastic Pics. 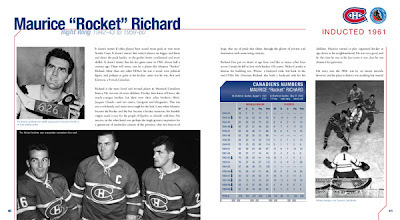 I also received my copy of "Honoured Canadiens" for Christmas and I also was disappointed to see that the contest had ended when I went to check into it. 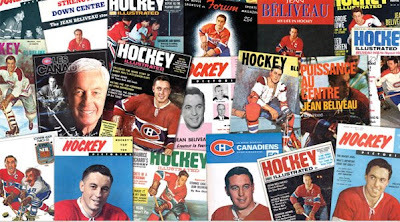 I have been a Habs fan all my life and my favourite player was Jacques Lemaire. I was hoping to win the contest and maybe have a chance to meet him and get an autograph.